Filter straws for drinking water are an unseen force in the health industry. Certainly, without filters, drinking water will have poor quality. 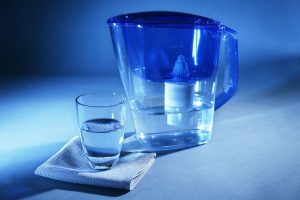 As a matter of fact, whether it’s the friendly office water cooler, the municipal water supply or the charming bed and breakfast tap water, everything goes through filters. 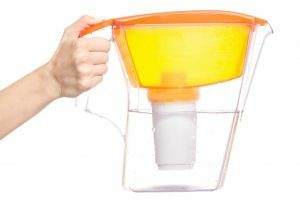 Water pitcher filters, countertop filters, and filter straws for drinking water, these filters have a further improvement of the treated tap water. With attention to, the most interesting out of them are the filter straws since, sometimes, it’s nice to have a portable filter for vacations and getaways. The name says it all. Filter straws are an amazing, portable alternative to the more space-consuming pitchers and countertop filters. 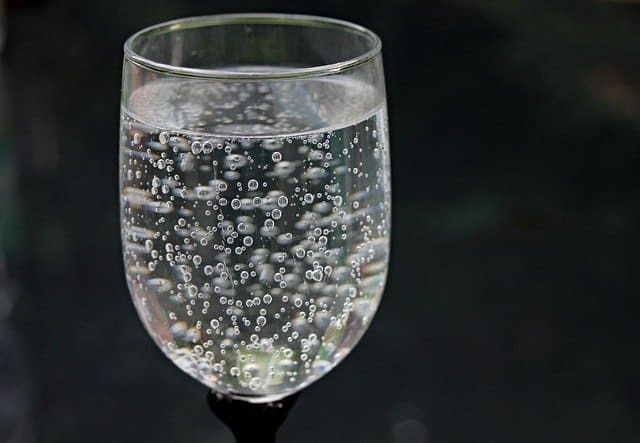 They come in a small package and have fast-acting active ingredients which turn ordinary tap water into great-tasting, healthy drinking water. As previously stated, the idea behind the filter straws for drinking water is simple, and that is for every person to have access to safe, clean water in places where it may be hard to get a hold of. Thus, throughout this piece, three straws will be presented and steps on HOW TO FILTER WATER using these straws will also be provided. Each of them uses a different combination of filtration technologies and ingredients. Granted on such a small niche, it’s hard for the average consumer to make an informed decision, so let’s evaluate them and find out which is the best. As the name implies, Glacial Stream knows a thing or two about clean water. Their water filter straw is a fantastic alternative to carrying clean, bottled water on trips, or just as an excellent emergency filter to have tucked away in a bag or kit. Speaking about, this eight-inch-long product has an ample filtering system since the water goes through five stages from bottle to mouth. Lest, these include three microfilters, which are great for cleansing any impurities such as minerals and other contaminants. Added to that, another one is an active charcoal filter which removes odor and taste from the water by eliminating the chlorine from the supply, and lastly, a patented Glacial Stream filter. Given these points, when we sum it all up, the whole system filters 99.99% of contaminants. Design-wise, this Canadian-made filter straw is considered great. The pen-like appearance will keep any unwanted attention away. But even so, for some, it looks like a medical accessory. Still, nevertheless, the build quality is surprisingly good for a straw; it’s implausible that it will break if kept in proper conditions. By the same token, the materials used for its construction are free from BPA. Overall, it’s a great choice for having that extra bit of safety on the road. Under those circumstances, when it comes to its maintenance, it’s best to keep the straw dry after each use, either by blowing or shaking the remaining water out. 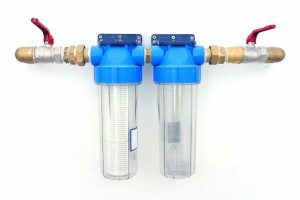 If water builds up in the filters, it can get moldy, bringing an awful taste and smell to everything that passes through the system. Henceforth, in the event that this happens, some lukewarm water with a bit of apple cider vinegar can eliminate any unpleasant effects. EMERGENCY TRAVEL SURVIVAL PREPAREDNESS - At only 8" long and 3/8" in diameter it fits it any bottle, cup, or glass. 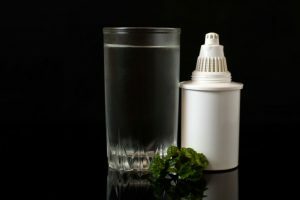 Whether you need filtration at the House, a Restaurant, Backpacking, Camping, Travelling, Survival, in an Emergency kit, or at the Office these BPA free water filters are perfect for any situation. They fit in your Pocket, Gym Bag, Back Packs, Survival packs and Purses. 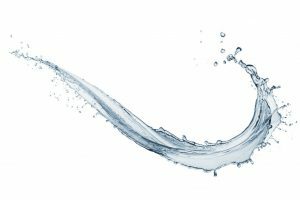 Let’s talk utility: clean water is essential for survival, but the purpose of average filter straws for drinking water isn’t really wilderness-oriented. With that being said, the RISEPRO Portable Aqua Personal Filter is a great product for filtering water out of a pond, lake, or stream, but it doesn’t really make the cut when it comes to daily use. The build quality is actually pretty solid, making this a reliable and heavy duty portable filter. It’s perfect for the outdoor enthusiast, but not so great for carrying around on a heavy summer day for some instant freshness. 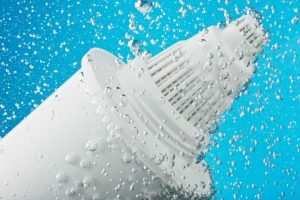 Correspondingly, the simple filter system is great, providing the user with clean, pure water, but it takes quite a bit of time (around five to seven minutes for a gallon of drinkable water). This can filter a maximum of 422 gallons of water and produce 200 milliliters of clean water per minute. In addition to that, this is integrated with a metal buckle. With that in mind, anyone who’s looking for the next choice for their survival kit would greatly benefit from such a product. 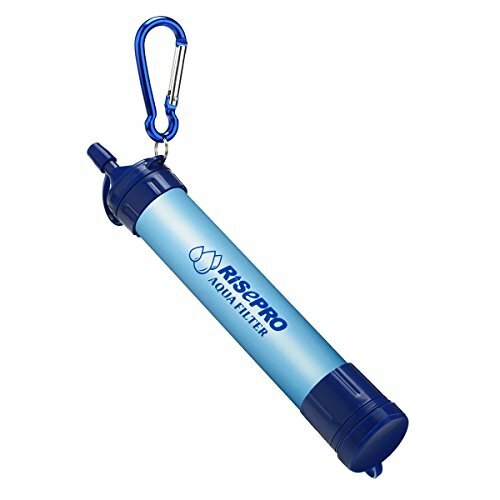 PREMIUM FILTRATION LEVEL TO PROVIDE SAFE WATER - RISEPRO Portable Aqua Filter Can Remove Minimum 99.9999% Of All Bacteria And Minimum 99.9% Of Waterborne Protozoan Parasite Under Laboratory Conditions, Higher Than US EPA Standard For Water Filters. SUPER WATER FILTING CAPACITY UP TO 1600 LITERS - This Water Filter Built With 0.05 Microns Ultrafiltration Membrane And Can Absolutely Provide Up To 422 Gallons (1600L) Of Sate Drinking Water. Considering Of Bacteria Breeding On Carbon And Cotton After Use, This Filter Adopt Microns Ultrafiltration Membrane For Safety Reuse. IDEA DEVICE FOR CAMPING HIKING TRAVELLING ESPECIALLY OUTDOOR SURVIVAL - Portable Design With Metal Buckle That Is Good Enough For Using And Carrying When Travel Or Outdoor Survival, Never Boring With Tubes Or Bags. This Is Super Device For Life Water Provider When Hurricane, Earthquake, Or Natural Disasters Happened. DECREASE WATER TURBIDITY With High Water Flow - This Water Filter Can Easy Filter 0.05 Microns Particles, Water Turbidity Degree Average Reduce By 99.6% Under Lab Conditions. 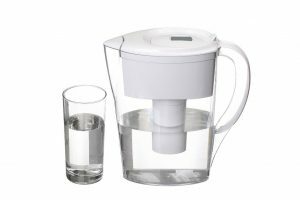 The Water Flow Speed Though Aqua Filter Is Superfast Up To 200 Milliliters Per Minute (Average). SIMPLE TO USE, CLEAN AND LIFETIME WARRANTY - This Aqua Filter Is Very Simple To Use, You Can Use It Directly In The River, Stream, Lake, And Can Also Connect It With Water Bag, Bottle And Tubes To Drink The Clean Water. You Can Easily Clean It With Blowing From Outlet. We Give This Aqua Filter Satisfaction Guarantee And You Can Return It Without Questions. Nature’s Hangout doesn’t really bring anything new to the table when it comes to filter straws for drinkable water. What they do bring is a solid kit for those who’re looking for their next clean-water companion. The Nature’s Hangout Personal Water Filter Straw Kit includes a water bag, a prefilter, straw, a cleaning syringe and a 30-inch tube. 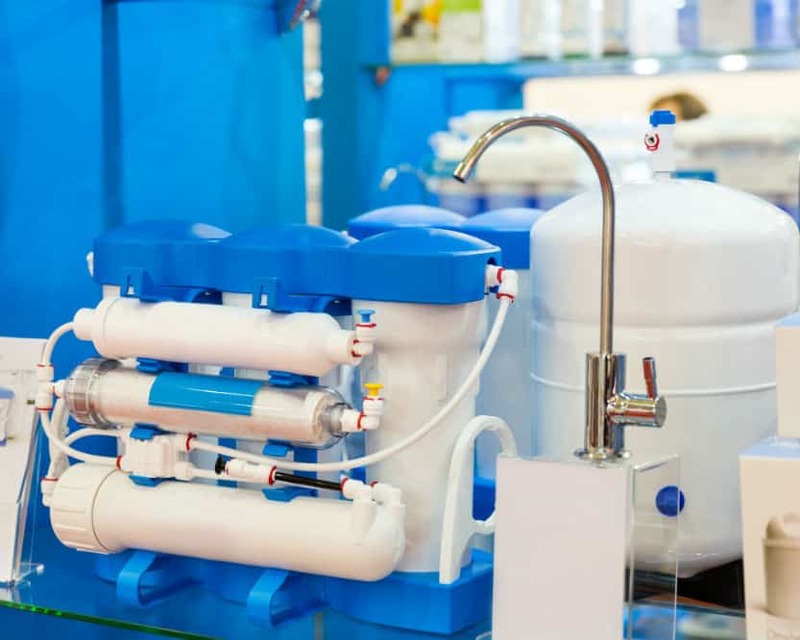 For instance, the prefilter and water straw are responsible for filtering water, while the 30-inch tube is utilized for giving the user a bit more to work with. On the other hand, the bag is for storing fresh water, and the syringe can be used to clean the filters. The water that passes through this product’s filtration system undergoes two stages. Hence, under those circumstances, this doesn’t work that well with contaminated water. Be that as it may, it can efficiently filter approximately 400 gallons of water before replacement. Furthermore, the product is made of materials that are free from BPA.  HOT BOGO DEAL - For a limited time, buy one water filter straw from Nature's Hangout, get a second filter for FREE! 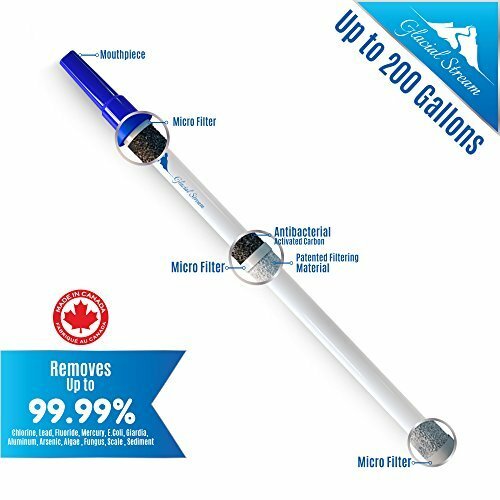 Add TWO to Cart and use coupon code STRAWBOGO --- NEXT GEN NANO FILTER: The breakthrough .01 micron filter is 200 times more effective than 1st generation survival straws at removing bacteria (Salmonella, Cholera, E. Coli, Cryptosporidium & more) for instant safe water that's purified without using harsh chemicals. 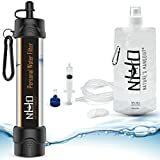 CLIP-ON MINI FILTER: Keep your active lifestyle portable; at only 5-3/4 inches your personal water filter fits any pocket or clips to straps & backpacks for fast easy access to water anywhere your adventures take you. 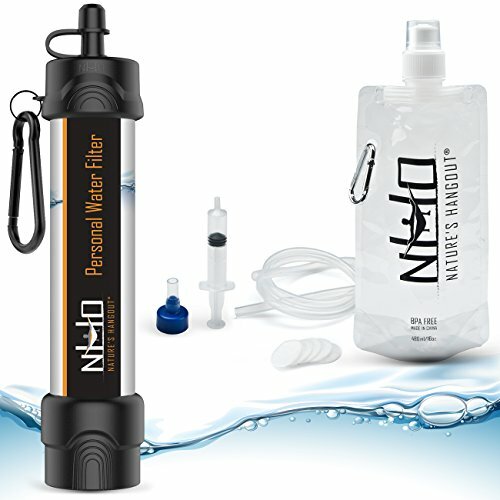 2-YEAR CLEAN WATER KIT: Rated to 1500 liters your water filter straw makes a 2-year supply of fresh drinkable water; plus the Boost Bag, 30-inch Survival Tube, Pre-Filter & Instructions make this the complete for any serious backpacker or survivalist. SURVIVAL TUBE: Lying down near water is risky, especially with predators & hypothermia as dangers; using your 30-inch Survival Tube gets hard-to-reach water sources - so you can meet any challenge on your toes. BOOST BAG + PRE-FILTER + FILTER FLUSH: Squeeze the 16oz boost bag for easy filtering. The pre-filter prevents clogs. The filter flush syringe allows you to back-flush your straw to remove debris, which improves filtration and lengthens filter life. As shown above, each of the three products we have reviewed above can be a great purchase for the right user, but only one has an edge when it comes to the norm. For us, the Glacial Stream Water Filter Straw Purifier is the perfect portable water filter straw both for emergencies and everyday use simply because it has a five-stage filtration system. It’s also easy and light to carry around. Overall, given these points, it brings the most value as it is useful in every scenario, not just for survivalists. Experience the difference of having a water purification straw. Get yours now!